Grab, Uber's biggest rival in Southeast Asia, announced that it has raised $2 billion in new funding from existing investors SoftBank and Didi Chuxing, China's biggest ride-hailing company. The Singapore-based company adds that it could soon raise an additional $500 million from new and existing investors. At the close of the round, Grab's post-money valuation will be above $6 billion, a source tells Axios. Ride-hailing web: A growing number of ride-hailing companies around the world are inking investor relationships. In addition to Grab, Didi Chuxing has invested in India's Ola, Latin America's 99, and Lyft in the U.S. It also has a stake in Uber thanks to its merger last year with the company's Chinese business. 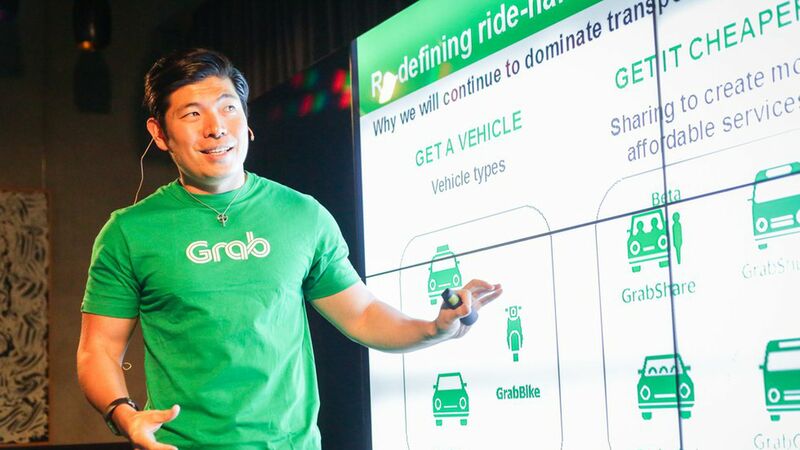 Competition: Although Grab says it has 95% of the third-party taxi-hailing market in Southeast Asia and 71% of the market for private vehicle hailing, it nevertheless competes with Uber as well as Go Jek, a local ride-hailing company. Go Jek, which is backed by Lyft investor KKR, is rumored to be finalizing a $1 billion-plus round led by China's Tencent.